The double discrete logarithm has attracted interest as a one-way function in cryptography, in particular in group signature schemes and publicly verifiable secret sharing schemes. We obtain lower bounds on the degrees of polynomials interpolating the double discrete logarithm in multiplicative subgroups of a finite field and in the group of points on an elliptic curve over a finite field, respectively. These results support the assumption of hardness of the double discrete logarithm if the parameters are properly chosen. 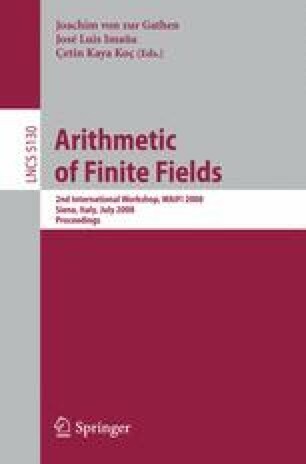 Similar results for other cryptographic one-way functions including the discrete logarithm, the Diffie-Hellmann mapping and related functions as well as functions related to the integer factoring problem have already been known to the literature. The investigations on the double discrete logarithm in this paper are motivated by these results on other cryptographic functions.